Quick Change Clam Lock Swivels Size 8. 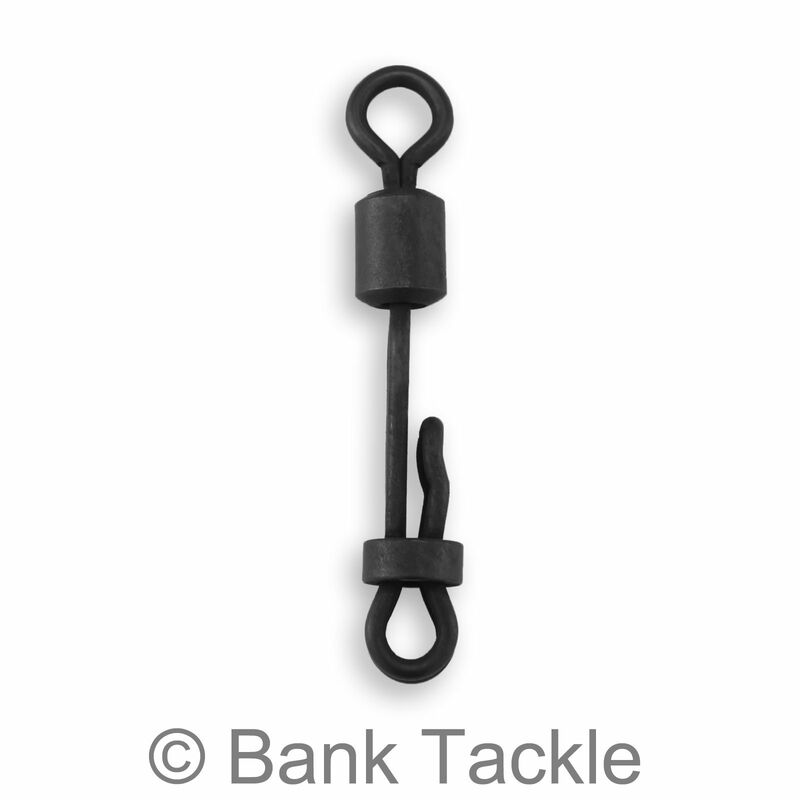 Quick Change Clam Lock Swivels are a great alternative to standard quick change swivels. They allow you to quickly and easily change rigs without the hassle of retying knots. 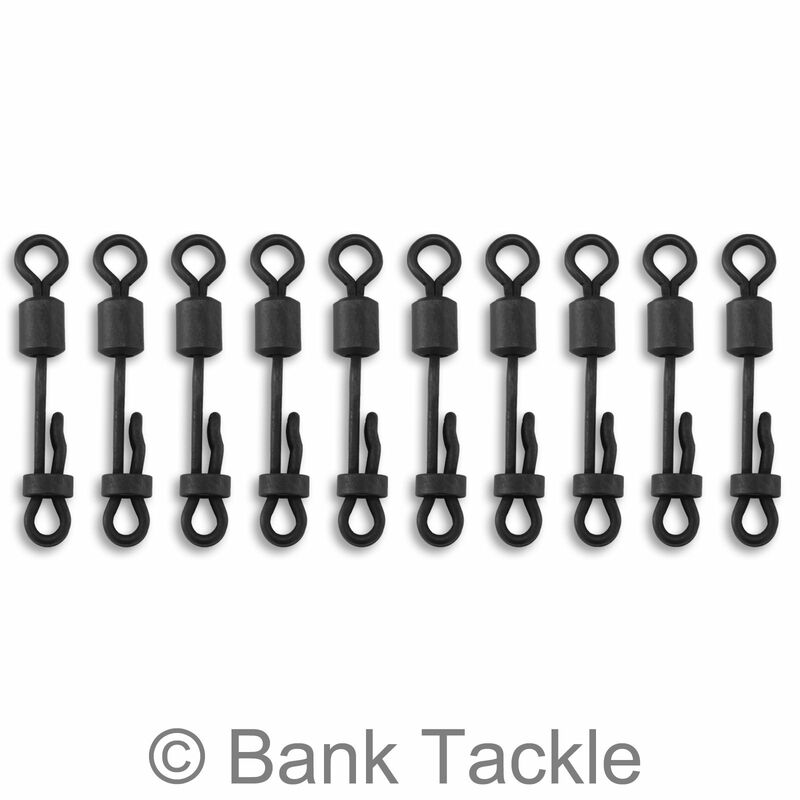 They are also very fish friendly as you can detach your hook link as soon as the fish is landed. 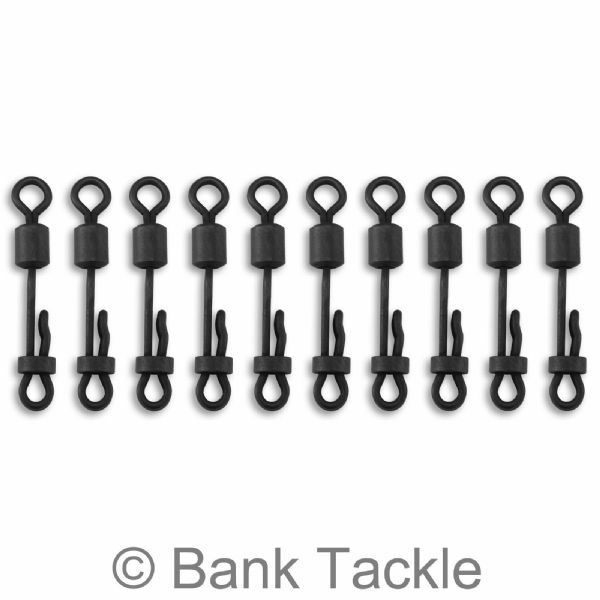 These are UK size 8 and fit all standard sized Lead Clips on the market including our own. Matt black anti glare coating.